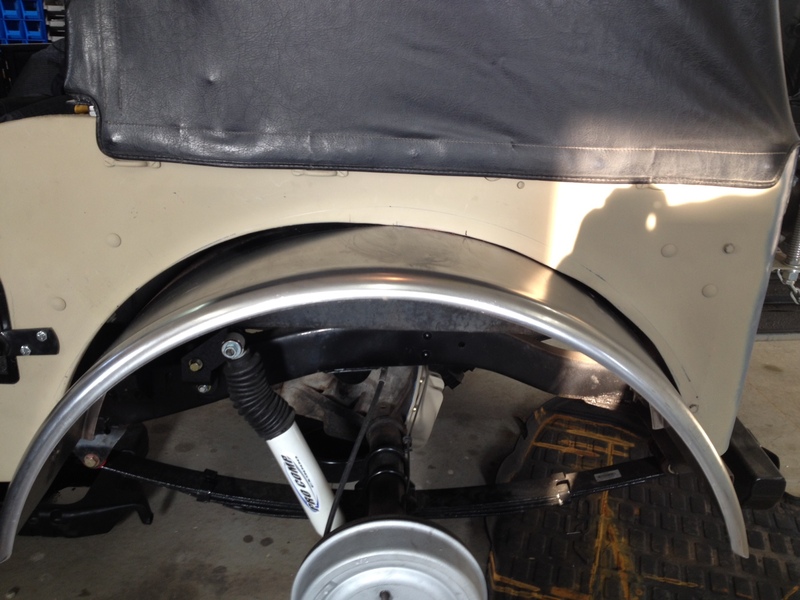 The CJ3A Page Forum - Extended rear removable fenders. 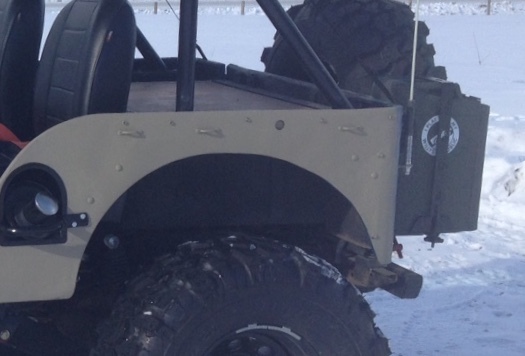 The CJ3A Page Forum › Your Jeep Project › Your Modified 3A Project › Extended rear removable fenders. Disclaimer. Those who feel squeamish when seeing a stock Willys modified may want to look away and have small children leave the room. I jest, but I know modifying a stock antique auto is sometimes frowned upon and I have done my best over the past 40 to keep all my autos as stock as possible, that is not the case with my M38. 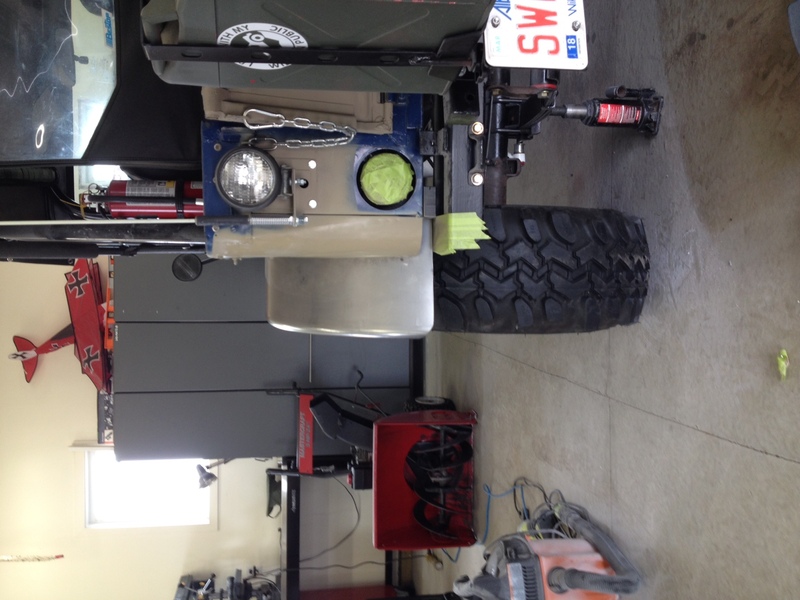 It came to me fairly modified, one of the mods the previous owner did was open up the rear fender wells to accept larger tires, 35” tires don’t fit in a 32” hole. They also don’t make the Willys street legal, inadequate tire coverage and a $300 fine if I get caught on the roads. So I thought I’d change that. 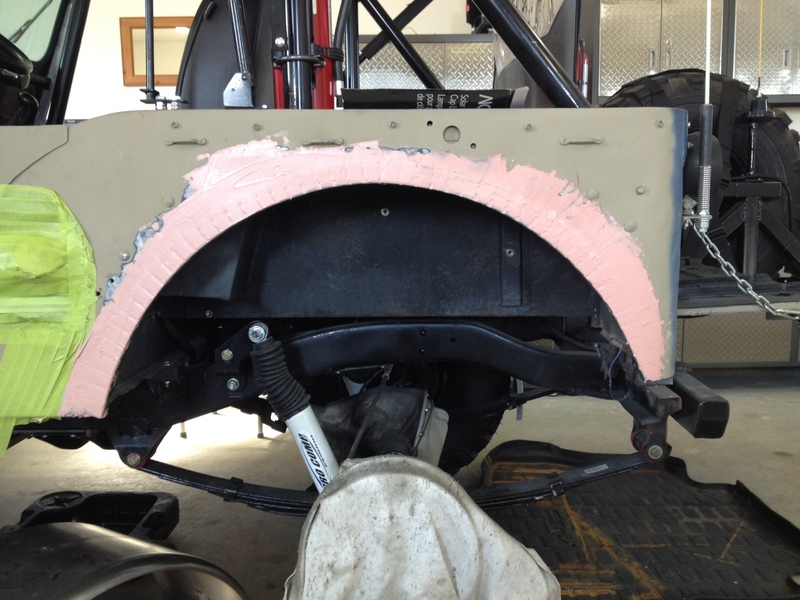 Please excuse the use of bondo, it was unavoidable, and something I really detest using. 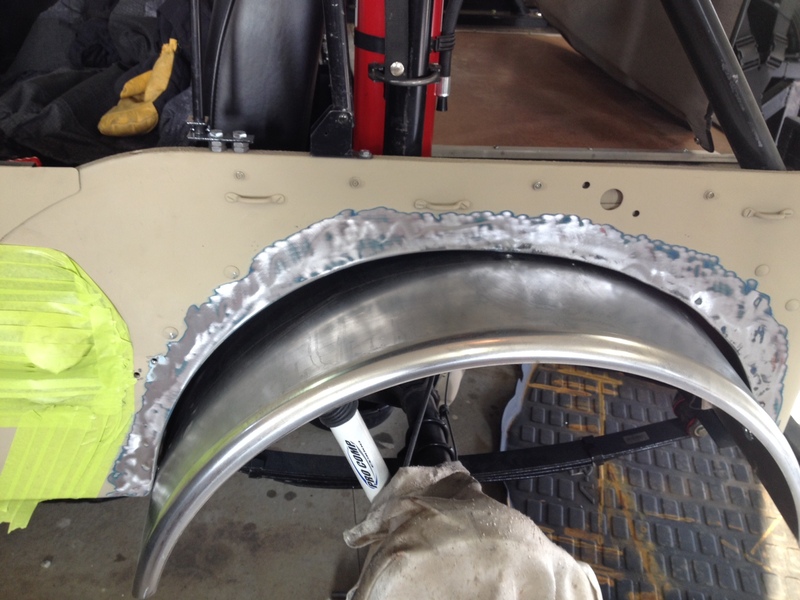 The previous owner had kept the front half of the fender well stock with a 16” radius but had opened up the rear half with a 20” radius, the opening was 37” wide. 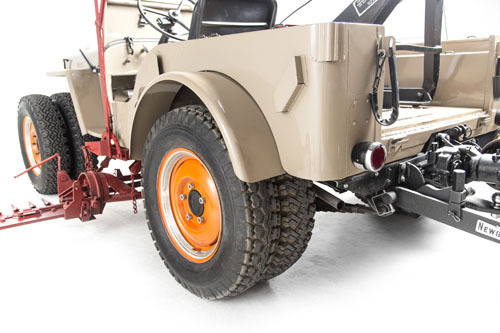 I wanted the look of the old farm jeeps with the duel rear tires and M100 trailer fender (picture below) but M100 fenders have a 16” radius or 32” width, my tires are 33” and the axle is moved back 2” . 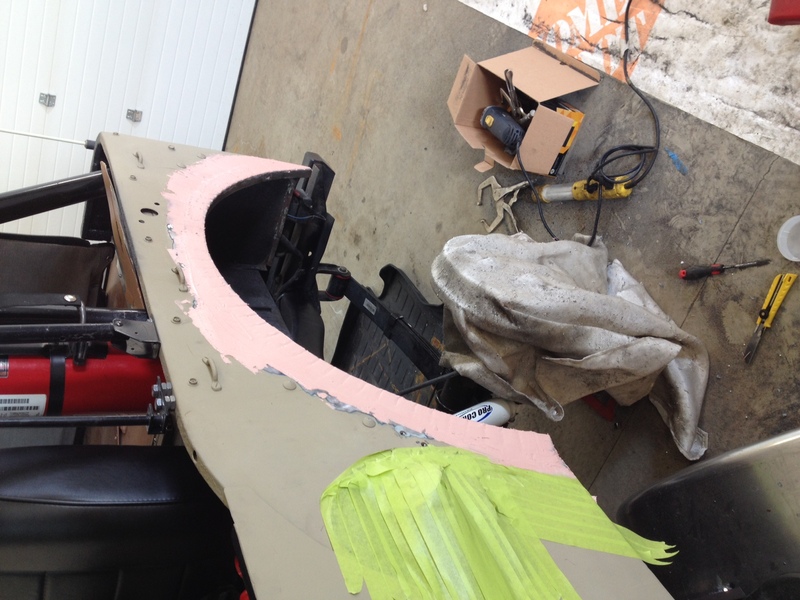 My plan was to use 36” wide fenders (18” radius) and rework the body to fit the fender instead of making the fender fit the body. 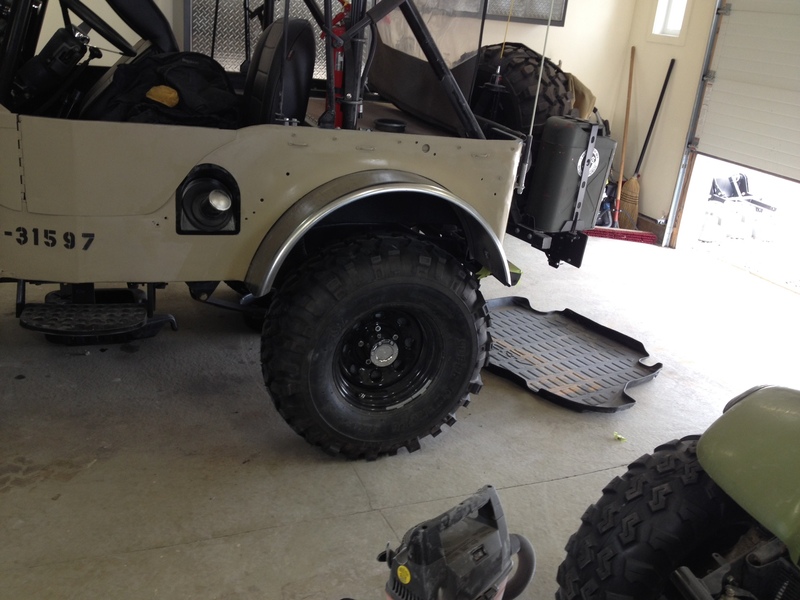 I also want to make the fender removable so you can drive around town, drive to the trail head, remove some bolts and go off-roading. 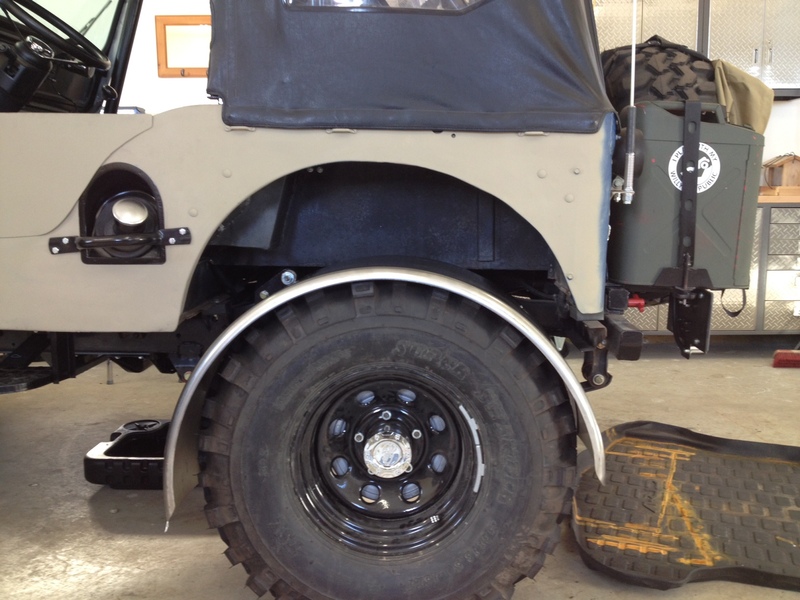 Re: Extended rear removable fenders. 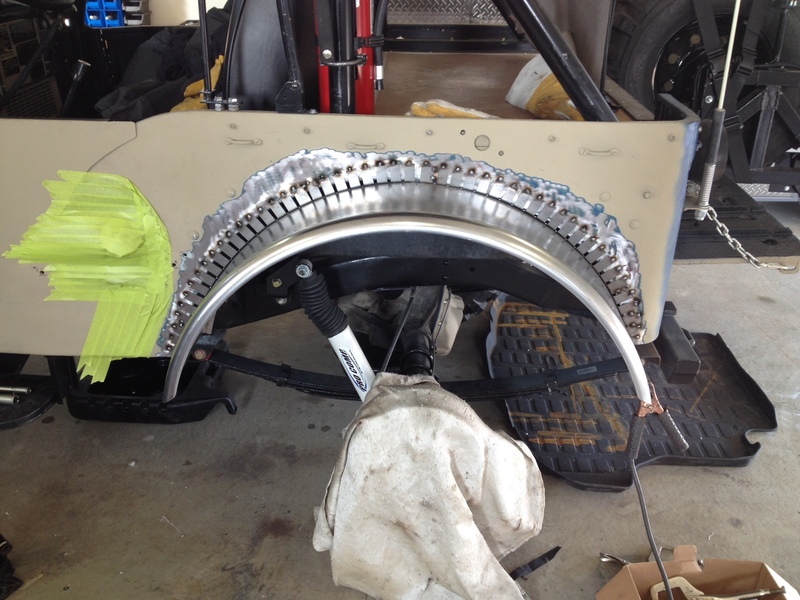 Three brackets inside the fender and three on the inner lip of the body using 1/4 nutserts. 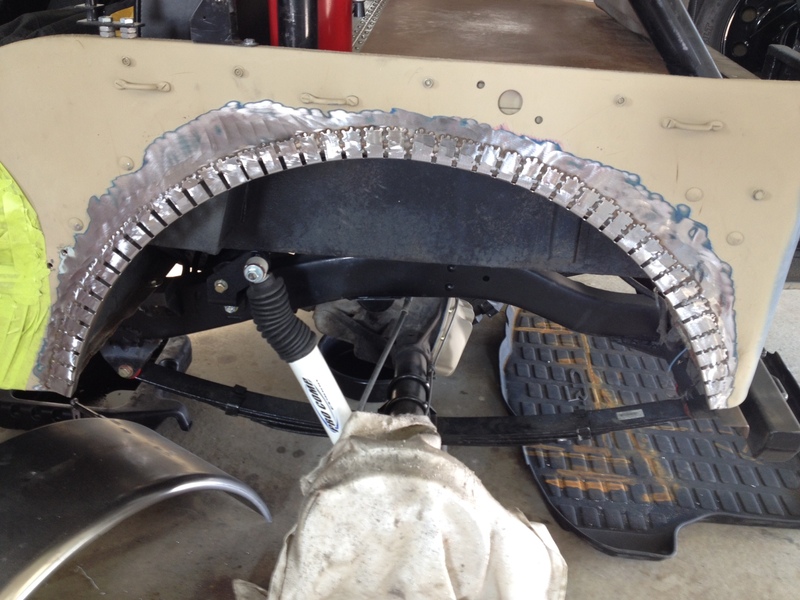 As you can see there are some fairly big gaps to fill ranging from 1/8” to 1 3/16”. 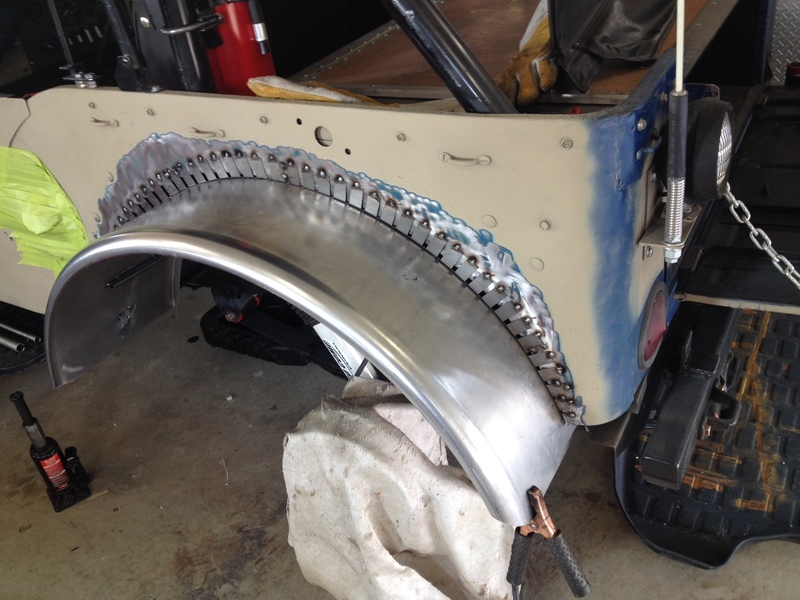 Using some universal edge patch panels in contoured a new inner fender lip and reinforced it with a 1/8” innner lip, welded it to the body so it fit the contour of the fender. 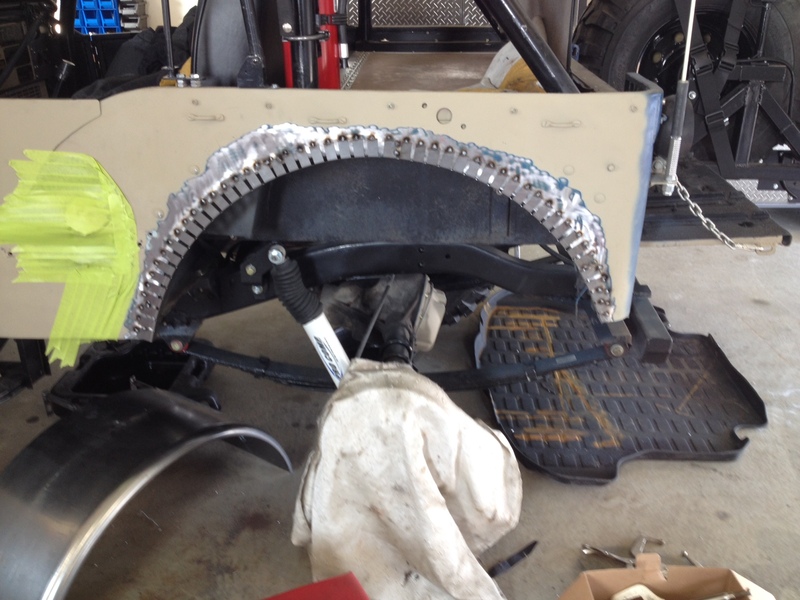 Then removed the fender. 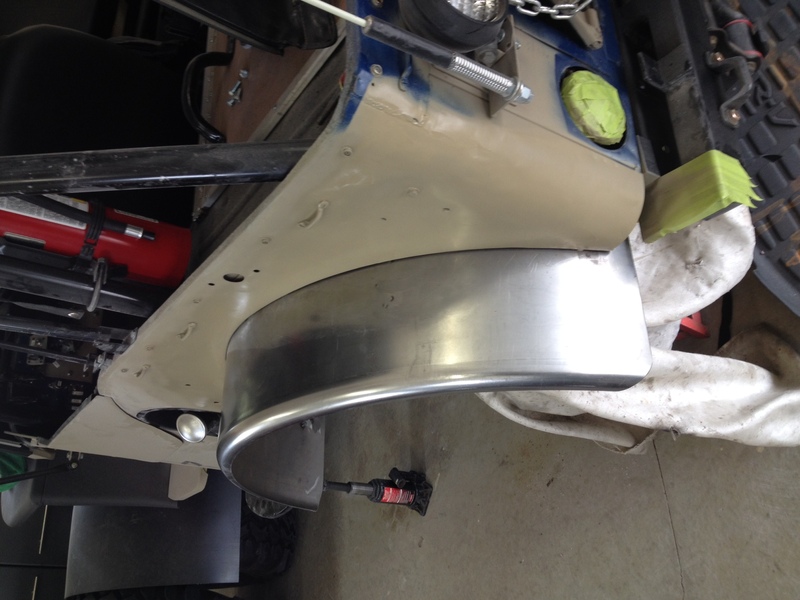 Once the new steel,was welded in place with a few test fittings to make adjustments along the way the dreaded bondo came out. After a few day sanding and reapplying body filler to get as near a perfect fit a quick coat of primer and top coat and a test fitting of the fender. Not decided on having the fender painted to match the body or go with black to match the front fenders? 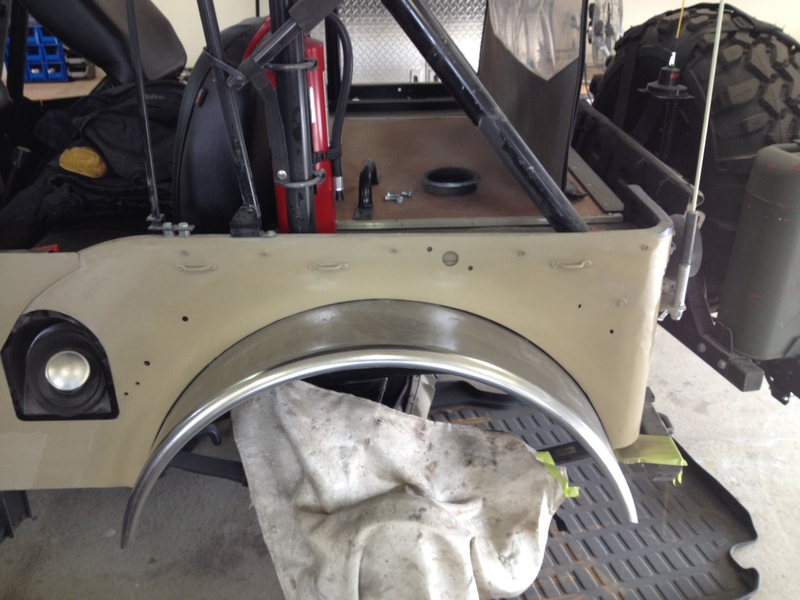 Still a lot of work to do, trim the fenders paint more sanding etc, but I think you get what I’m going for. 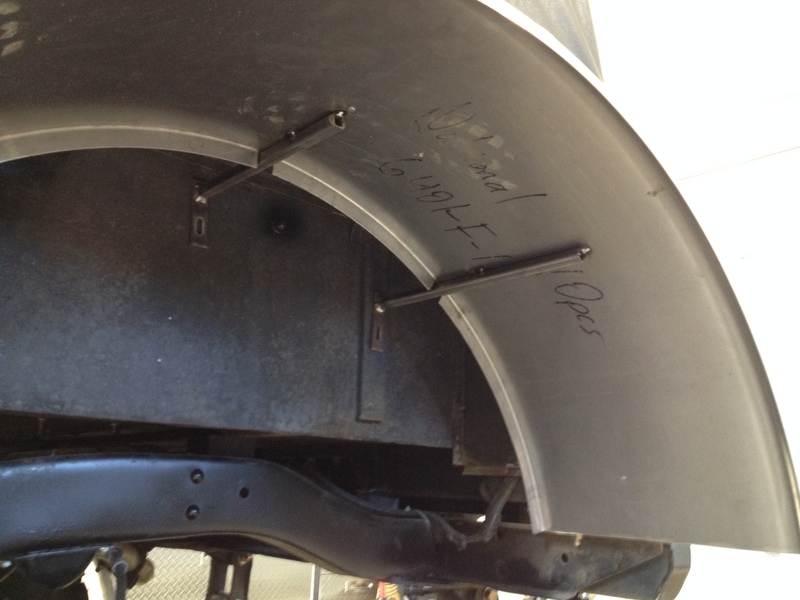 The photos seam a little squished and make the fender appear wider than the actually are, sorry crappy camera.